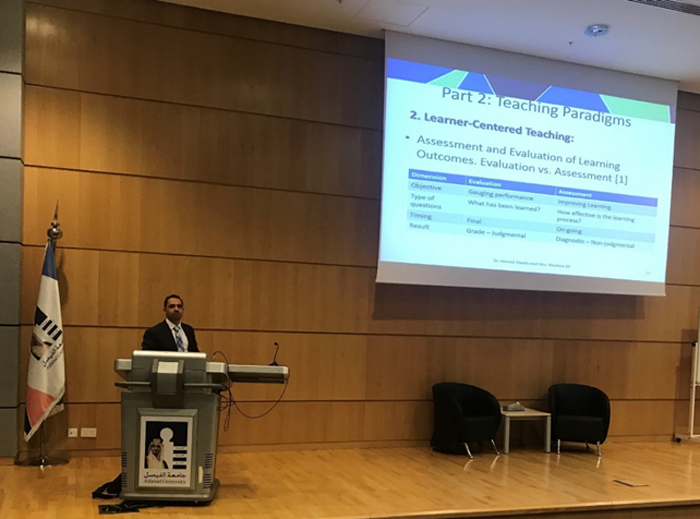 Quality Assurance & Accreditation office held a lecture on Teaching and Learning today. 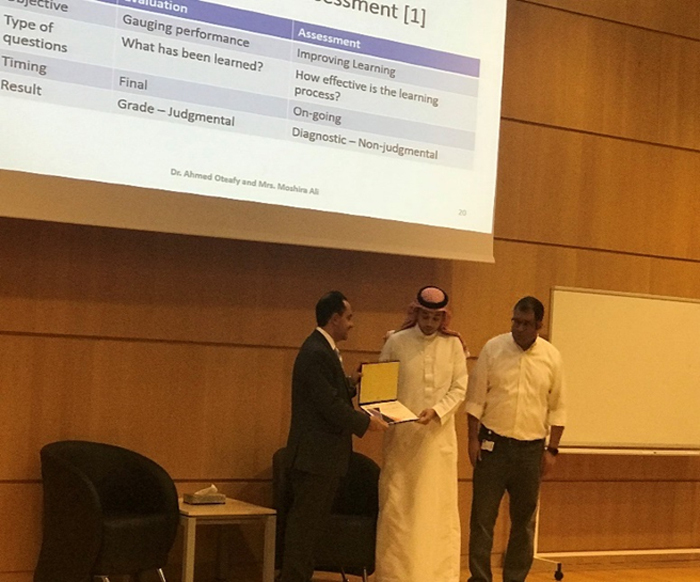 The lecture was presented by Dr. Ahmed Mohamed Oteafy, Assistant Professor of Electrical Engineering. Dr. Ahmed is supportive of quality assurance work and volunteers lots of time and effort towards that.